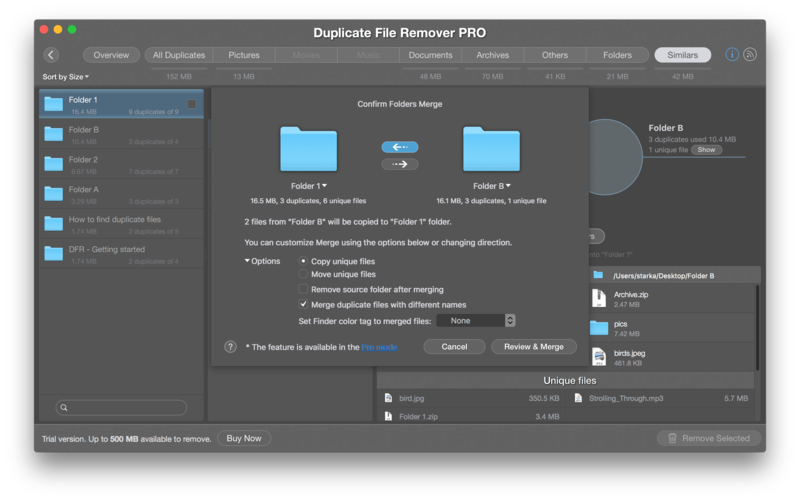 With Duplicate File Remover Pro you can merge Similar folders – move or copy unique files from one folder to another. 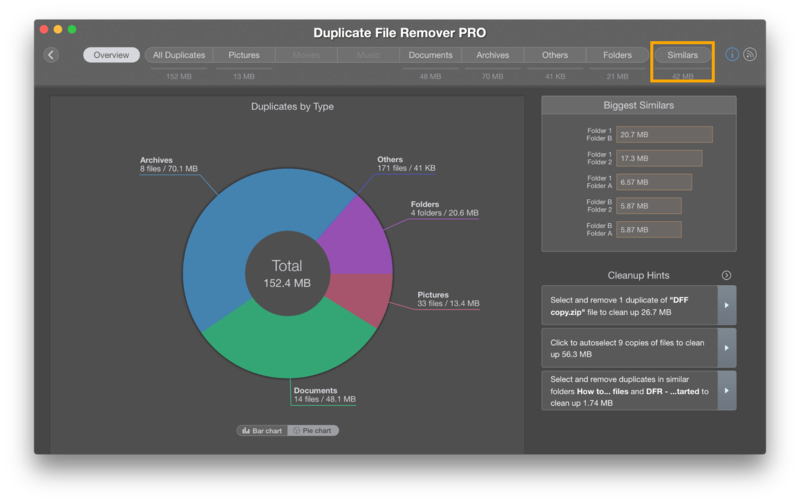 The app allows you to merge duplicates also with different names. Switch to the Similars tab. 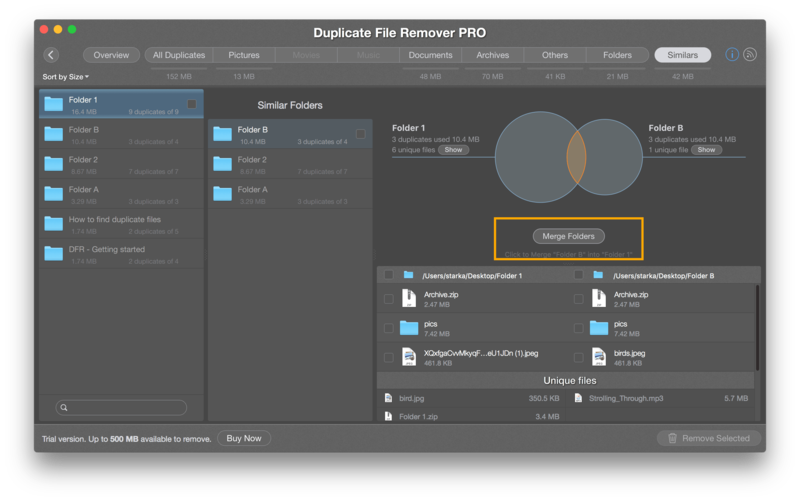 Select the folders you want to merge and click the Merge Folders button. 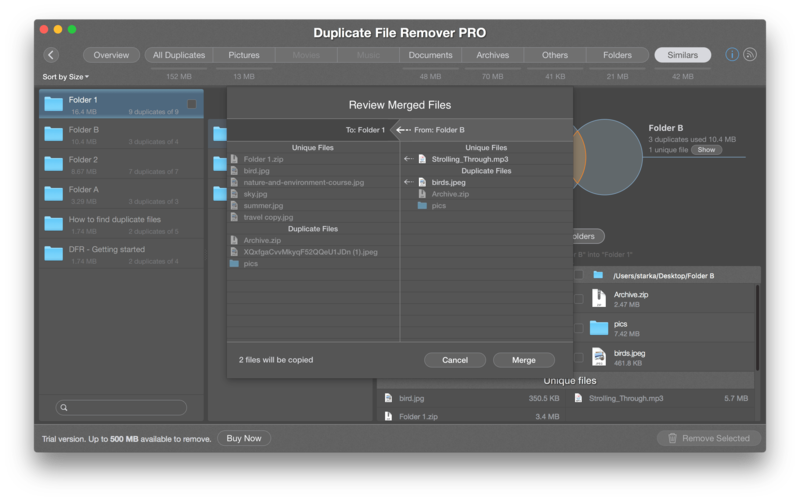 Review the files that are going to be merged and confirm merging.